Soundproof Cow - Class A™ Acoustic Foam Panel 2"
There’s no better time to begin thinking about soundproofing your room than today. You may not suffer from noise related issues at the moment, but the production of unwanted sound is unexpected and at times uncontrollable. If you run a studio where noise control is essential or you work from an office where your neighbors can sometimes distract you with far-off conversations, there’s never a better time to take the next step into soundproofing your space than now. 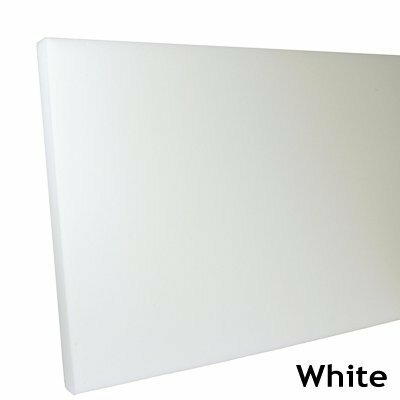 Our 2-inch fire-rated acoustic panels are the perfect start to soundproofing any room requiring noise and echo reduction. 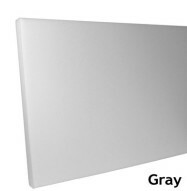 Whether in a medical facility, utility room, gun range or office, our Class A™ Acoustic Foam Panels are crafted to provide you with superb sound absorption with the assurance of a Class A™ flammability rating in the process. Whether you’re looking to soundproof a space with unpredictably hot levels of temperature or require a level of noise reduction in an area where larger groups of individuals congregate, you need an acoustic panel that can guarantee you safety during performance. 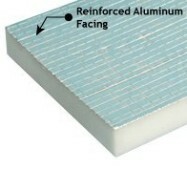 Our 2-inch fire-rated acoustic panels are manufactured with a high tolerance to heat exposure, providing heat resistance up to 482° F.
Our 2-inch fire-rated acoustic panels are also fiber-free, making them safe for use in clean rooms such as medical and computer equipment facilities. While boasting flame resistance and fiber-free composition, our Class A™ Acoustic Foam Panels also provide a lightweight structure, making installation fast and easy. 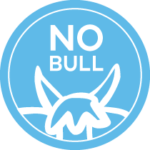 At Soundproof Cow, we want you to feel comfortable knowing you’re investing in quality products that perform with efficiency and safety. That’s why we offer only the best products on the soundproofing market so you can enjoy superior quality today! Class A™ Acoustic Foam Panels are a premium grade sound absorption foam panel that are rated for high-temperature applications or buildings requiring Class A™ rated materials. Class A™ Acoustic Foam Panels are heat resistant to 482° F and able to withstand constant temperatures of up to 320° F, which makes them an ideal choice for environments where temperatures are high and where sparks (or other hot materials) may fly, and come in contact with the material. Due to its excellent flame resistant qualities, it’s perfect for areas where large numbers of people congregate. 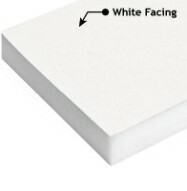 Class A™ Acoustic Foam Panels are constructed of lightweight, porous acoustic melamine and are fiber free, making them perfect for medical facilities or where high tech computer equipment is used. The material’s internal structure is a spacious cellular complex of slim, flexible webs that are membrane-free and completely open-celled. 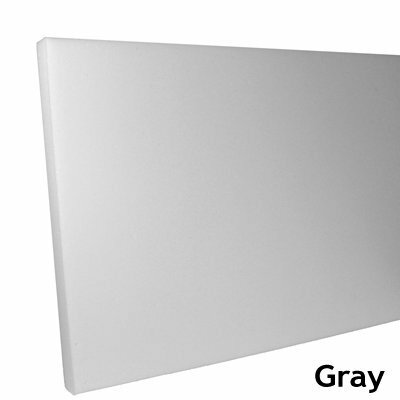 The result is that Class A™ Acoustic Foam Panels are low-density and extremely lightweight. Engineered for performance — Class A™ Acoustic Foam Panels are engineered to be an excellent sound absorption product with a high tolerance for heat exposure. Class A™ Acoustic Foam Panels absorb sound generated at low, mid and high frequencies. 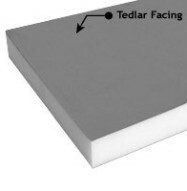 Flammability — Class A™ Acoustic Foam Panels are manufactured from melamine foam that has a Class A™ flammability rating in accordance with ASTM E 84. 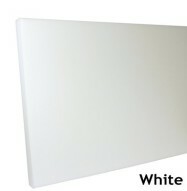 This product passes building codes that have strict flammability requirements for exposed materials. 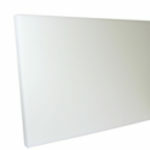 Heat Tolerant — Class A™ Acoustic Foam Panels are heat resistant to 482° F and able to withstand constant temperatures of up to 320° F.
Fiber Free — Class A™ Acoustic Foam Panels are safe to use in clean room, medical and computer equipment environments. 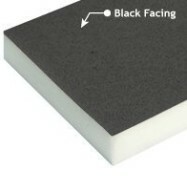 Quality — Class A™ Acoustic Foam Panels are made with high quality melamine foam. 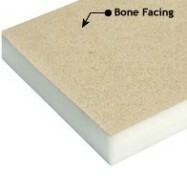 The foam is consistent in density and firmness so acoustic performance will also be consistent. Ease of Installation — Class A™ Acoustic Foam Panels are a lightweight, open-celled foam product and can be attached to a variety of surfaces. No special tools or materials are needed. Class A™ Acoustic Foam Panels are available with a Pressure Sensitive Adhesive (PSA) backing for an easy peel-and-place application. This stuff is great. Installed easy, did what it was supposed to, and looks good. It was a little bit pricey but so is everything else that is designed for high temperature situations. I don’t need to search the internet for the next time I need something for soundproofing. Once I started working with it, this was a breeze to put up, and it’s done pretty well at blocking the sound. I would use this again.